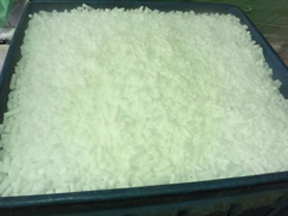 Kelly Dry Ice sells dry ice products in Pittsburgh, PA and the surrounding areas. Whether you need dry ice for consumer, commercial, or industrial use, contact Kelly Dry Ice Co., Inc. for your dry ice needs. Some common uses for dry ice include Pharmaceutical, Medical Labs / Biomedical, Food & Beverage, Industrial, Manufacturing, Metal Fabrication, Scientific and Chemical Research. Dry Ice Blast Cleaning - Dry ice blasting is an effective and environmentally friendly way to clean industrial equipment and is used in many industries. Use dry ice for Blast Cleaning equipment to remove residues such as ink, oil, paint, mold and other toxins. Blast Cleaning can also be used to remove smoke damage after fires. Metal Fabrication/Shrink Metal into Tight-Fitting Applications – Use dry ice to chill and shrink parts for ease of removal and fitting. Loosen Asphalt Floor Tiles - Use dry ice to loosen tiles to make lifting and removing tile easier. Meat Processing - Dry ice can be used by the meat processing industry to cool meat after processing and for shipping. Speed Asphalt and Concrete Cooling – Dry ice is often used as a cooling agent and works well to speed asphalt and concrete cooling. Repair Car Dents – With the right process, dry ice can be used to remove dents in vehicles. 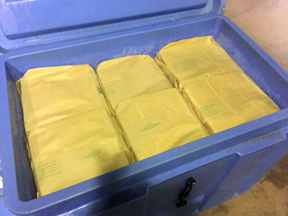 Agriculture - Use dry ice for freeze branding cattle, and to preserve grain & seeds. Safer Fuel Tanks – Use dry ice to make fuel tanks safer for removal and transport by purging flammable fumes. Plumbing – Use dry ice to freeze water in valveless pipes to enable repairs. Shipping – Use dry ice to ship medical products, or food and other perishables. Dry Ice Safety Is Very Important. Be sure to read our Dry Ice Safety information before using dry ice. Food and Beverage – Dry ice can be used to flash-freeze food, carbonate beverages, make ice cream and root beer. Dry ice is useful for preserving frozen foods when freezers are not available. Emergency Refrigeration and Power Outages – Use dry ice to maintain refrigerator and/or freezer while power is out. The right amount of dry ice can maintain the cold for up to three days. Transporting Refreshments for Picnics and Vacation – With dry ice, you can take Popsicles, ice cream or other refrigerated and frozen items on your outings without the need for electricity. 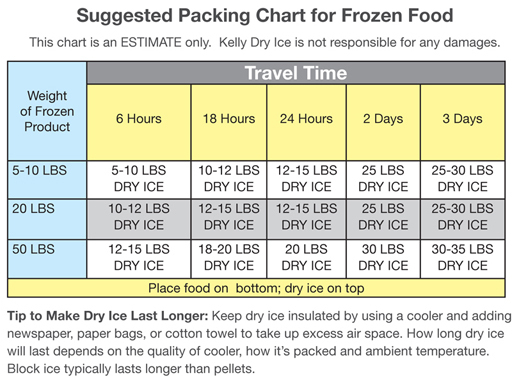 See chart below for dry ice suggested amounts. Camping, Hunting, Fishing, Tailgating, Boating, etc. - Use dry ice to keep food cold all day without the water mess found with regular ice. You can use dry ice to freeze game or fish for transporting home, or to preserve until you take to your taxidermist. 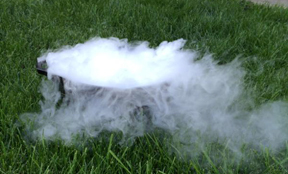 Halloween – Dry ice is good for Halloween special effects. One popular use is to place dry ice in a cauldron or bucket (metal or plastic), then add hot water to create fog for your Halloween party, or display. 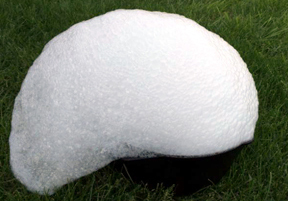 Educational – Dry ice can be used for science experiments and demonstrations. Ice Cream Socials – Dry ice will keep ice cream frozen without the need for electricity. Mosquito Traps and Bed Bug Traps - Use dry ice to bait mosquitos and bed bugs. Insects are attracted to the carbon dioxide making dry ice an effective method for trapping bed bugs and mosquitos. 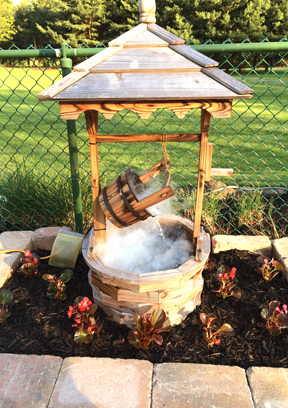 Eliminate Moles and Gophers - Use dry ice as a safe and non-toxic way to eliminate moles and gophers. This method suffocates critters with the carbon dioxide released when the dry ice sublimates. 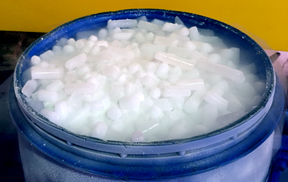 Ice Caps for Chemotherapy Patients – Use dry ice in Ice Caps that were designed to help prevent hair loss during chemotherapy. Shipping – Use dry ice to ship foods and other perishables to keep frozen or from spoiling.